Majestic setting for a morning/afternoon of clays. 25 Clays included in package as well as all equipment. Variety of traps for excitement. Beginner or expert equally welcome. One and half hour clay pigeon shooting session - approx 50 Clays. Located North of Edinburgh. Competitive experience but good for experts to beginners! Everything provided! 25 clays included in this lovely little clay shoot near Stirling. All equipment and training provided. 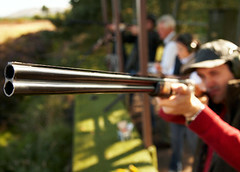 Our clay shooting grounds cater for anyone - whether they are experienced guns or want to give it a try. Most of our trainers get a real buzz getting a customer from zero to hero and and helping them to discover just how much skill they have inside of themselves. Safety is core to what we do. Everybody understands that guns are inherently dangerous so we make sure that you really understand how to use them, how to hold and how to avoid issues. If you are visiting with your family and you have younger children (12+) we will make sure that they have the appropriate rifle for their size and that they understand how to carry and hold it. 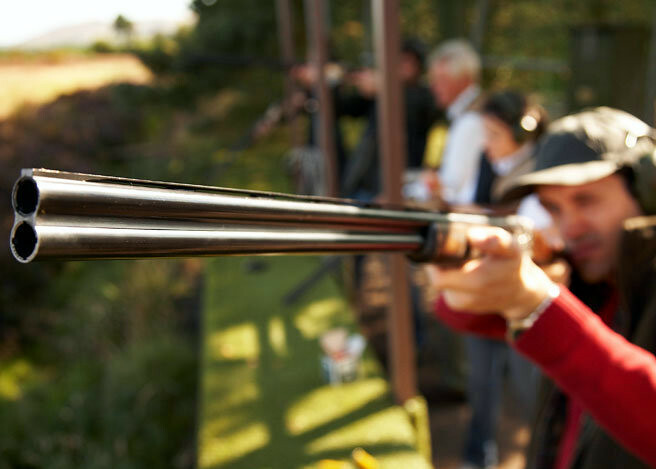 Our experts stay with you all the time and stand at your shoulder giving you the guidance and advice you need so that you can start knocking those clays out of the sky regularly. Clay shooting is for anybody! Woman often start by thinking it's a man's thing - you know men and their toys; but, you will quickly discover that the competitive streak and the need for coordination is strangely addictive - just one more shot to hit it. You will be treated with the respect you deserve and probably discover (as we already know) that most women are natural shots and quickly overtake the men in their skill. The clay shooting centre at Gleneagles is one of the best sites in the Country. All types of traps to replicate different types of game, with fantastic faciltities on hand. I great venue for all sizes of groups.